"The soul of man is immortal and imperishable." The haunted places in Connecticut are considered to be some of the most mysterious real haunted places in America. Connecticut is home to many real life haunted houses, haunted hospitals, and other haunted places. If you are interested in historical locations, you are sure to enjoy learning about the haunted history of this particular state. If you a ghost hunter – it does not matter if you do it for fun or professionally – you are sure to find to find an inn, a house, a hospital, or an old abandoned building in Connecticut that draws your interests. In this guide on haunted places in Connecticut, you will be introduced to a couple of the most mysterious of all the real haunted places in America. The Lighthouse Inn, which is located in the New London region, was established in the year of 1902. Set in the midst of lavish wildflowers, this particular structure was a summer home to a man named Charles S. Guthrie. Due to the location that the home was built, many referred to it as “Meadow Court”. While Guthrie resided at the establishment, it was a known location for social functions that accommodated the socially elite and prestigious class of the time. Many popular individuals that held fame on the big screen visited the house. Examples include Bette Davis and Joan Crawford. As time progressed, the functionality of the immense structure also progressed. In the year of 1927, the home was transformed into a majestic inn for travelers. It was appropriately named “The Lighthouse Inn Resort”. The inn not only accommodated guests, but it also accommodated social functions. In the year of 1930, a wedding was planned. The bride was at the establishment, putting the details into place, when she fell from the staircase. When the bride fell, she lost her life. To this day, many individuals have stated that they have observed the apparition of a female spirit wearing a beautiful wedding dress in the structure. When it comes to real haunted places in America, the Lighthouse Inn is one of the most popular because there is more than just the spirit of a young bride haunting the structure. Many also claim that another woman haunts the inn. Dressed in a beautifully designed Victorian era dress, this lady has been seen both in and around the structure. Her identity has yet to be established, but her spirit is very real to those that have witnessed it. In addition to this, the spirit of a young female is said to haunt the inn. Many have heard the child running, playing, laughing, and talking. The identity of the child has not been established either. This is why the Lighthouse Inn remains to be one of the most mysterious haunted places in Connecticut. When evaluating real life haunted houses in the United States, it is important to include the homestead of Daniel Benton, which is located in Tolland. It is obvious, based on the unexplained phenomenon that occurs in this structure that the building is haunted. However, the spirits that seem to reside in this homestead are not considered dangerous by any means. This structure was constructed in or around 1720. Throughout history, many have claimed that they have heard the extremely mournful cries of a lady named Jemima Barrows. She cared for the man that she loved and lost to smallpox named Elisha Benton until January 21st 1777. It is believed that her lost was so tremendous and devastating that the energy still remains to this day. Many haunted videos, ghost pictures, and other images have been caught on film. It is believed that Jemima actually haunts the home where her true loved died. Many claim that they have seen a female spirit dressed in a beautiful wedding dress roaming around the structure as if she is searching for something. Many others have claimed that they have seen the same female dressed in clothes that reflect a mournful nature. In addition to this apparent haunting, there are typical occurrences that are common to real life haunted houses such as strange noises, unidentified smells, and distant voices. 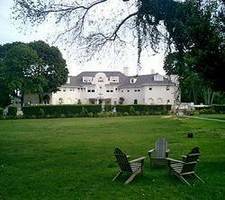 As you can see, there are at least a couple of haunted places in Connecticut that are considered to be quite mysterious to those interested in the paranormal.